When it comes to having a baby, there are a few things you can be sure of. 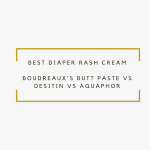 One thing every baby will need in the first few months is a constant string of diaper changes. The standard foam changing pad with a washable cloth cover that can get wet, dirty, or stained and requires constant washing is surely becoming a thing of the past. 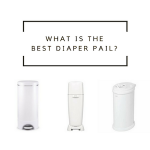 As with deodorizing diaper pails, wipe-able foam changing pads are changing the way we handle dirty diapers. What Is The Best Changing Pad? 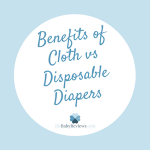 Here’s a comparison of four wipe-able foam changing pads that will make the sure-to-be task of diapering your baby a much easier undertaking. 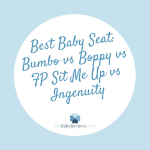 The Bumbo Baby Diaper Changing Pad comes in at $69.85 and comes in four colors. The changing pad is contoured to your baby’s body, and includes upturned edges and a restraint belt for baby’s safety. The pad is made of soft polyurethane material and slants slightly so that liquids that make their way onto the pad will run toward baby’s feet. The Bumbo Baby Diaper Changing Pad comes in at 10 pounds, which makes it less easily portable than some other options. There are also large warning labels printed on either side of the changing pad that parents may find unsightly and distracting. The Bumbo is also shorter than many other foam pads and not as slip resistant on the bottom as other models. The Keekaroo Peanut Changer is a USA made, peanut-shaped changer that uses slip and puncture resistant yet soft-to-the-touch foam, which is easily wiped clean. The material is impermeable to fluids and limits the growth of bacteria on its surface. It comes with contoured sides and a strap for baby’s safety. Designed for plenty of use, the Keekaroo Peanut claims longevity, has a 5 year warranty, and comes in 6 vibrant colors. Some drawbacks to the Keekaroo include a heftier price tag at $129.95. Also, the Keekaroo’s manufacturing process can leave “swirls” of darker colors in unique places on each changer, which cannot be seen in most of the product pictures. If you’re looking for a Keekaroo specifically to fit with your nursery décor, many of the color options can be a little difficult to pin down. Viewing one in-store first may be a good idea to make sure the color you are choosing is just what you want. The Leander Matty changing pad is another waterproof foam option that boasts easy clean-up. The Matty has a wide, sleek European design that is sure to add flare to your nursery and comes with an attachable strap to keep your child safe. It is made with upturned edges and an incline so that any liquids that find a way onto the pad will run away from the child’s head. The Matty is soft, portable, and comes in several colors that will complement any décor. It also fits securely onto surfaces so there is no sliding around while baby is on the mat. Overall, the Matty is functional and stylish, but at Check on Amazon it is a more expensive option in the foam pad lineup. If you are looking for extra functions in your changing pad, look no farther than the Hatch Baby Grow Smart Changing Pad and Scale. The name says it all, as the Hatch Baby includes both the design and benefits of a soft, wipeable foam changing pad and the functionality of a wireless smart scale that claims to be accurate up to .25 ounces. The Hatch is great for breastfeeding moms who would like to track their baby’s intake after each nursing session. The smart scale works in sync through Bluetooth with a free App that works on Apple and Android devices and allows for comparison to World Health Organization growth charts, similar to what most pediatricians use. Multiple devices can be connected which makes the Hatch Baby a great way for working parents to connect with caregivers to track their baby’s weight, feedings, diaper changes, and length of sleep measurements throughout the day. The Hatch Baby costs $129.99, which not considering the extra functions it provides, is quite competitive with other foam changing pads. The Hatch requires 3 AA batteries and does not have any physical readout of weight on the actual pad; parents and caregivers have to connect to the App to retrieve the data, which may or may not be inconvenient depending on parent preferences. In the end, if you are looking for an upgrade from a traditional changing pad and its washable cover, any one of these sleek, wipeable foam pads will modernize your nursery in style, as well as cut down on your laundry (which you may need if you are loading up on cloth diapers). If you are looking for a changing pad with the added benefits of a scale, or for connecting with caregivers and/or breastfeeding support, the Hatch Baby will do the trick for a comparable price to other foam pads. If you are looking for a long-lasting or sleek accessory for your nursery, the Keekaroo Peanut and the Leander Matty are great options even at a slightly higher price. And if you’re just looking for a more affordable option to upgrade from a traditional diaper changing pad, the Bumbo fits the bill. Whatever you choose, one thing is certain – a great changing pad will be sure to get plenty of use!